No longer can automakers stick to traditional manufacturing practices. Today’s cars are filled with computers that control what goes on under the hood, on the dashboard and everywhere in between. For automotive companies to remain at the top, they’ve had to become experts in electronics, and their implementation and development. And as vehicles continue to become more connected, electronics will play an increasingly prominent role in automotive development. Over the last decade, connectivity has become a basic need to much of the world’s population. The idea of being disconnected from a network for an extended period feels like excommunication to today’s plugged-in generation. That’s why mobility has shifted its focus from simple transportation to an emphasis on making the automobile a personalized extension of today’s connected life. Valens brings its AV-proven HDBaseT technology to the automotive sector to vastly improve the processing speed for ultra-high-definition data within the vehicle. It’s the only near zero-latency solution that can process 6Gbps of multiple data streams simultaneously, providing the fastest, most efficient and lightweight solution for in-vehicle connectivity and making it possible for vehicles to be more connected than ever. 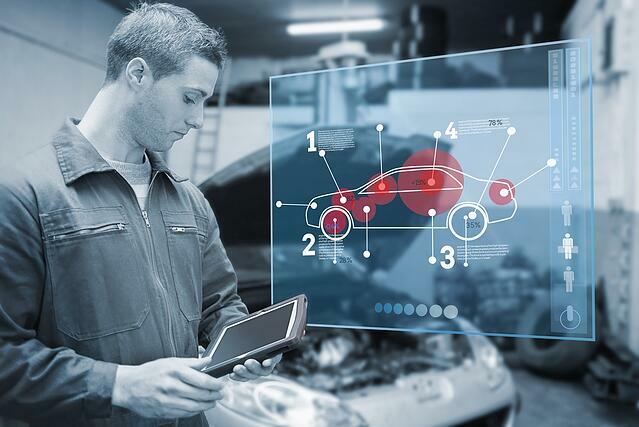 In the connected cars of today and the future, it’s vital that the car processes multiple applications, like cameras, sensors, infotainment, etc., simultaneously. However, it’s even more imperative that cars know how to prioritize their networking to protect the safety of the passengers. For example, in an autonomous vehicle, the sensors should take priority over infotainment. That’s why HDBaseT places an importance on networking and developing solutions that will provide consumers with an extension of their connected life at the lowest cost and lowest risk possible. Where do you think connectivity will take the auto industry in the future? To learn more about how HDBaseT technology enables in-vehicle connectivity, check out our automotive page, follow us on Twitter @HDBaseT. The official HDBaseT Alliance Blog – Your ONE connection to HDBaseT news and developments. Founded by LG Electronics, Samsung Electronics, Sony Pictures Entertainment and Valens, HDBaseT Alliance is comprised of leading cross-industry companies formed to promote and standardize HDBaseT™ technology for whole-home and commercial distribution of uncompressed HD multimedia content. The cornerstone of HDBaseT technology is 5Play™, a feature set that converges uncompressed full HD video, audio, 100BaseT Ethernet, power over cable and various control signals through a single LAN cable. Members supporting HDBaseT technology play a pivotal role in defining the future of multimedia transmission and data communication in the consumer electronics and content provider industries.